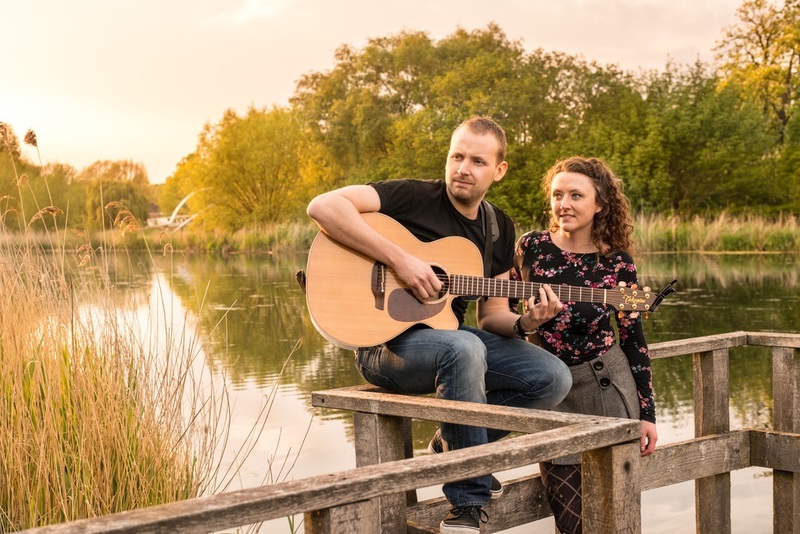 Elements are an acoustic duo that can play a diverse selection of songs to suit any occasion, from the heartfelt, intimate, traditional wedding through to the energetic, singalong, upbeat party. Their clever use of technology allows them to loop and layer parts of the music as well as blend a variety of effects and percussion, giving a rich and rounded sound but without losing the fresh feel or intimacy that makes an acoustic performance so special. Their style not only adds interest to their sets, but also means Elements are able to be very versatile and imaginative in the choice of music to suit your occasion. On the Listen page, you will find examples of some of the more stripped-back songs as well as some fuller-sounding tracks to give you an idea of how Elements could add something special to your occasion. 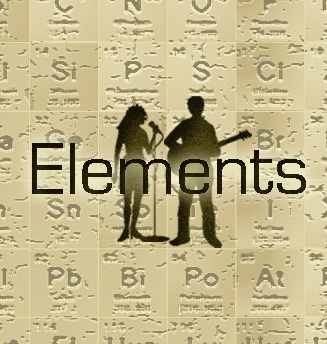 Amy and Steve make up Elements Acoustic Duo. 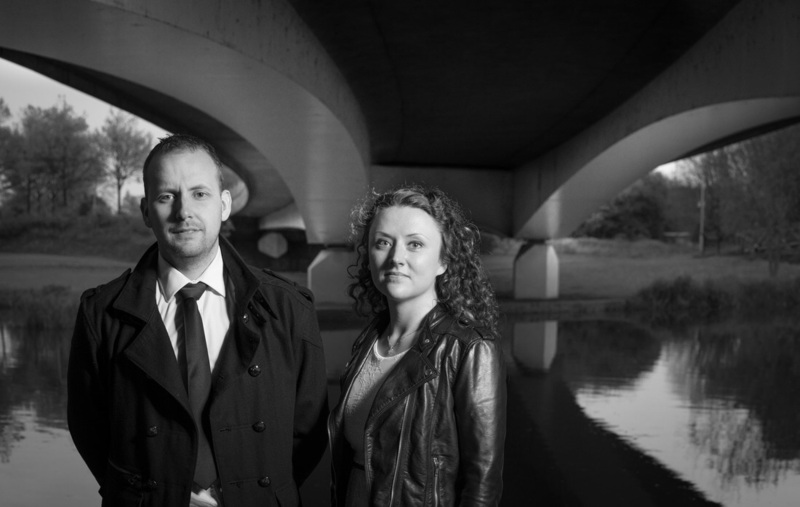 With a wealth of musical experience between them and a shared passion for music and performing, they take great pride in offering something special and a bit different to all sorts of occasions. 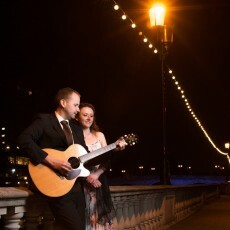 Amy’s unique vocal talent means she is just at home with vibrant, powerful anthems as she is with sweet, delicate ballads, while Steve’s ability to play a huge range of styles, pick out intricate solos and layer sections of music makes them the perfect acoustic team. 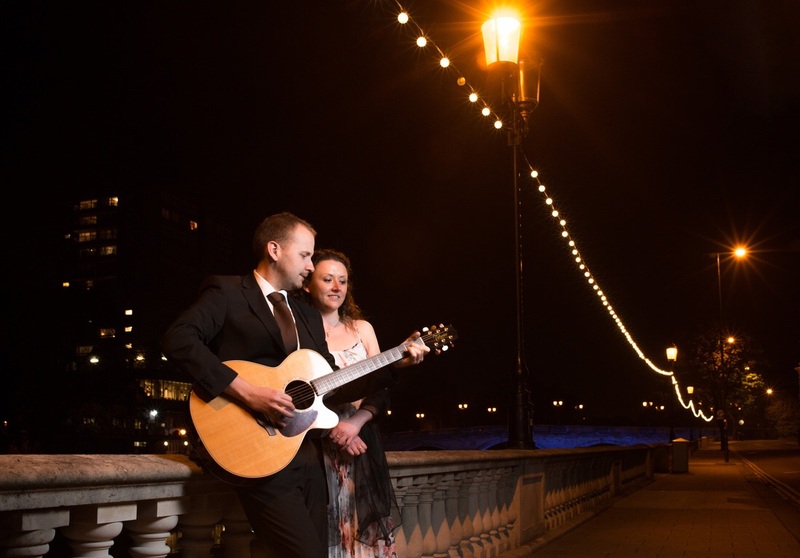 Elements can play at your ceremony, at a drinks reception, during the wedding breakfast or to get the night’s musical entertainment started – or a combination of any of these. The duo know that any couple needs to know that their wedding day will be just what they want, and Elements have no problem discussing all your ideas and arrangements with you. They can be very flexible in how you would like them to add to your day – for example they can play a song in a full and upbeat style to get a party going, or they can play it in a soft, melodic style to create a romantic atmosphere. To give you a guide of the cost for some different options, a list of packages is shown below. If you would like a bespoke package, Elements would be very happy to discuss this with you – please just drop us an email or give us a call. To browse some more background information on our wedding service and details on what you can expect if you book Elements to play at your wedding, please visit our website.